The Union Minister for Women and Child Development, Smt. 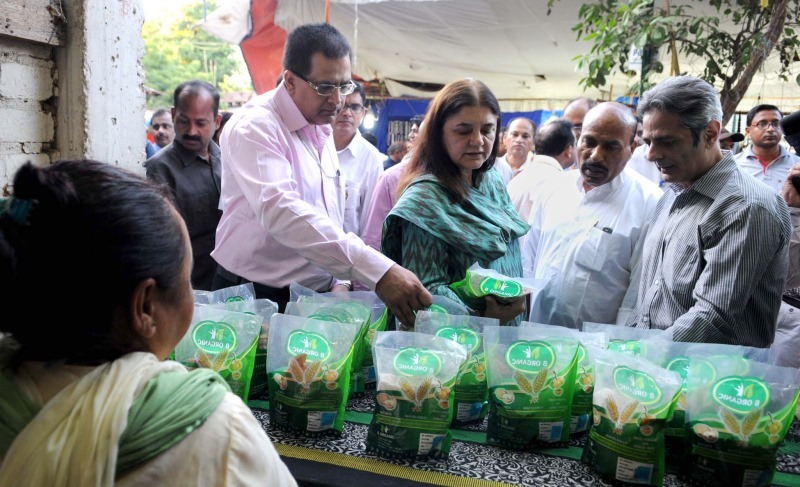 Maneka Sanjay Gandhi visiting a Stall, after inaugurating the Women of India Organic Festival, in New Delhi on October 01, 2017. The Minister of State for Women and Child Development and Minority Affairs, Dr. Virendra Kumar is also seen.